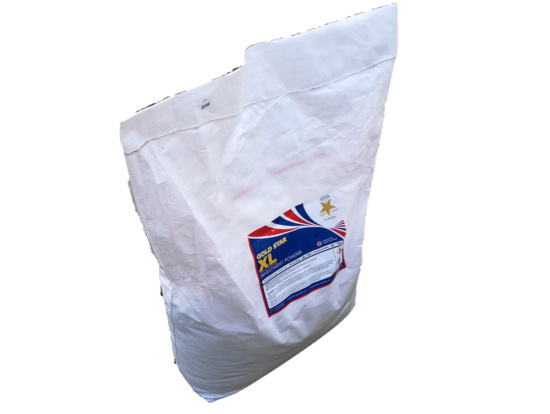 Gold Star XL benefits from the high quality cristobalite that is tailored to our exact specification and manufactured at our sister company’s calcining and grading division in Derbyshire, England. 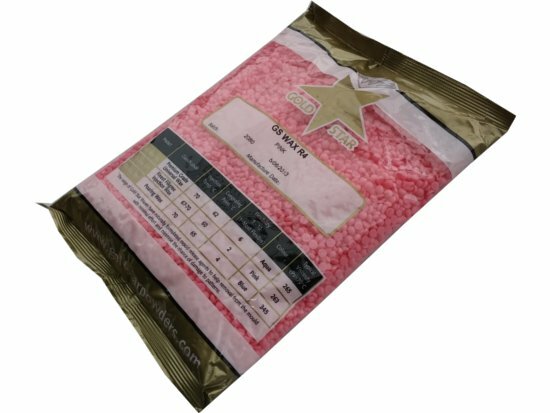 This competitively priced product produces excellent surface finish, a strong mould, and “cleans off” the casting easily. It is suited to both centrifugal and vacuum assisted casting methods, and, where vacuum flasks are used, a fast burnout cycle can be used. 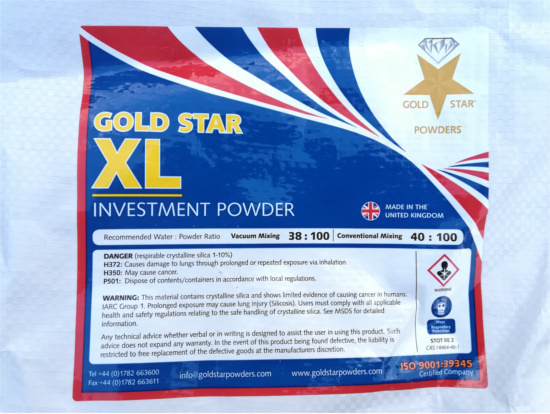 Gold Star XL has been our greatest volume investment powder over the last decade, with a proven track record of success. XL will meet the demands of casting Silver and Yellow Gold up to 18ct.